We all know the annoyance of accidentally leaving something in your pocket before putting the washing machine on. 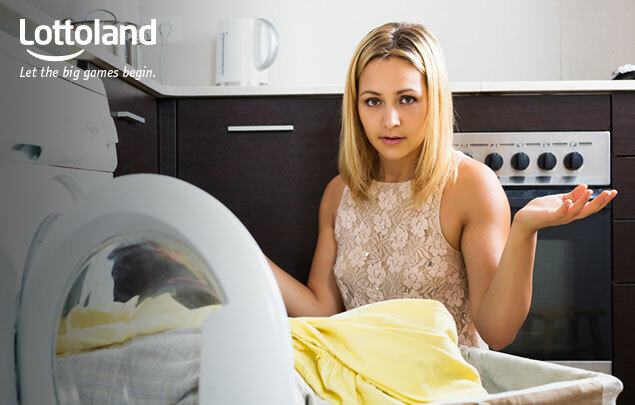 At best it can be an irritant or a mild inconvenience, but in the case of Susanne Hinte it could be the most expensive accident in the history of washing machines. Susanne believes that the lottery ticket she accidentally washed is the second half of the record-breaking £66 million UK Lotto jackpot. But will she be able to claim her prize with a soggy, semi-legible ticket? Learn how you can avoid a similar fate with Lottoland. Last week I had a bad cold and went around with a pocketful of tissues for days on end. After doing laundry I found a huge lump of shredded soggy papier-mâché in the pocket of one of my hoodies. It erupted mid-wash covering multiple garments in tiny flecks of tissue which I had to painstakingly pick off by hand. The hoodie itself was in such a state that it had to be washed again – what a nuisance! Or, to give it a hashtag, #firstworldproblems. The story of Susanne Hinte, on the other hand, represents every lottery player's worst nightmare. A divorced mother of two, and just as busy as you might expect, Susanne, in a moment of distraction, popped her jeans in the washing machine without checking the pockets. It was only later that she discovered that inside her jeans pocket was a winning lottery ticket worth £33,035,323. Now she needs to play the waiting game to see if the winning ticket will be accepted. "I haven't slept all night", she told the press, "Since I found it in my jeans pocket, my daughter and I have been drying it out with the hairdryer." According to Susanne the year is visible but the date is not – and herein lies the problem. Susanne now needs to make a clear case that she is, indeed, the valid winner of the second part of the record-high jackpot. And with so much money on the line she'll need to make sure her case is water tight – which isn't easy with a water-damaged lottery ticket. To guess those winning numbers correctly Susanne beat odds of over 45 million to one. Such a monumental achievement should be more than enough, but sadly that may not be the case. All of this can be avoided however. Every year millions worth of prizes go uncollected or unclaimed due to loss, damage and, in some cases, theft of paper lottery tickets. Paper isn't a very sturdy material to say the least. It's easy to loose, it burns instantly, it turns to pulp when wet – your ticket to a whole new life could, quite conceivably, be destroyed in seconds. So forget paper lottery tickets entirely and bet on the results online with Lottoland instead. 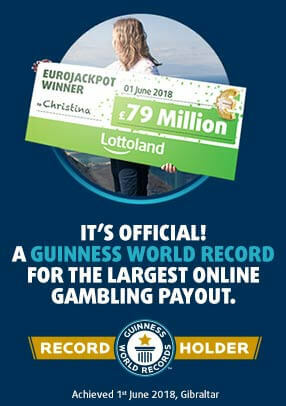 With Lottoland you can pursue the world's biggest jackpots from the comfort of your own home, or on the go via mobile. Instead of having to guard a flimsy piece of paper with your life, everything happens electronically, quickly and securely using the same technology used by the world's biggest financial institutions. No need to check numbers, no lengthy claim process, no hassle whatsoever – your winnings are automatically credited to your account. If Susanne was a Lottoland customer she wouldn't be having these sleepless nights. Nobody needs that sort of trauma in their lives, so why risk it? With Lottoland you can bet on the results of the world's best lotteries and win the same amounts as if you played the lottery direct – giving you the best of both worlds. So instead of queuing up for a paper ticket that's easily lost or destroyed, go the safe, swift and secure route with Lottoland where you can get huge jackpots every week.